We hope this will give you a better idea of the overall experience of parish life at St. Stephen’s. We have a growing parish with wonderful opportunities to engage members and visitors in ways that encourage Christian fellowship and volunteerism, and help build and strengthen the foundation of our Church. 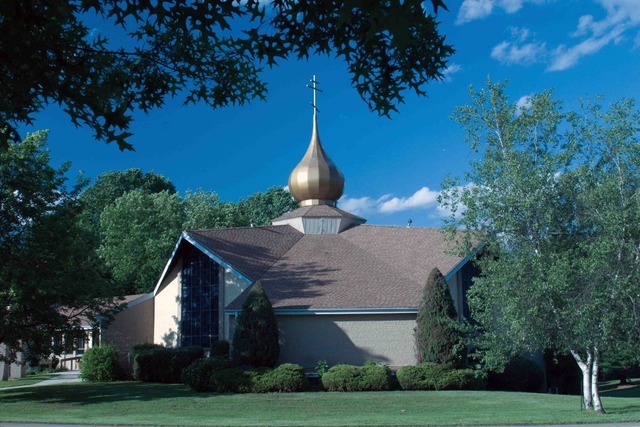 Parish Life is centered around attending Church worship services, including Sunday Divine Liturgy, Great Vespers on Saturday evening, and services for the Great Feasts of the Church. Sharing in these blessed services, especially frequent participation in Confession and Communion, creates fellowship that extends beyond the Divine Liturgy. Class are held every week throughout the year, except January, July and August. All are welcome to attend! We have members and visitors who attend regularly, as well as those who participate intermittently throughout the year. It is a wonderful opportunity to sit down and share discourse with our priest and with one another. Under the guidance of a gifted and dedicated Choir Director, St. Stephen's Choir welcomes all to come and sing. We have children and adults of all ages and voices. Our Church Store is open every Sunday after Divine Liturgy, or by appointment. We have a wide variety of religious and ethnic items. If there is something you need that we do not currently have, we would be happy to order it for you. We have both Adult and Junior chapters. Members meet monthly to plan social events, fundraisers and improvement projects both locally at the parish level, as well as coordinate events with other chapters throughout FOCA. Classes are held every week throughout the year, except January, July and August. All members and visitors are welcome to attend and learn about the Orthodox Faith. Classes are informal, but do follow a curriculum with four books discussed quarterly throughout the year. We are blessed to be able to organize and host various lectures and presentations throughout the year. While our speakers graciously are willing to visit from various places and locations, it is wonderful to see that likewise, those who attend have also traveled from all parts of the city and surrounding areas, as well as from the greater tri-state region. Begun in the 1930's, the Novogodny Ball is a Semi-Formal New Year's Dinner and Dance sponsored by our St. Stephen's OCF of the Fellowship of Orthodox Christians in America. Held annually on the Sunday evening prior to Martin Luther King Day, many travel near and far to attend the Ball and stay the weekend or, perhaps, over night to rest before the journey home. The Parish Council, including an Executive Board and Trustees, is elected annually by the Parish Membership and meets once per month. We are blessed to have dedicated Readers and Altar Servers of all ages and backgrounds. By the grace of our Lord, we are blessed to have a thriving Sunday School program. Children of all ages, from pre-K through 12th grade, are encouraged to enroll and attend classes. We follow the standard academic school year calendar and are grouped by age. Classes follow Divine Liturgy with certain Sundays excluded, such as Feast days and special Church-related events. All teachers are background-checked, and students are supervised and chaperoned at all times. Driven by the needs of the parish, building and grounds, and the creativity of our volunteers, we have several committees that meet to address the projects that contribute to the well-being and improvement of our Church. Our Ladies Auxiliary, or Sisterhood, is one of the most active groups at St. Stephen's, organizing church dinners, bake sales, food festivals and so much more! …including Church dinners, bake sales, penny parties, food festivals, flower plantings, and more! Please feel free to participate and lend your assistance! We cannot do it without you!